We are talking about waste and by-products, and as such, their management is not free as it’s subject to specific regulations whose must be perfectly known, and have the aim to regulate its use, while preserving the environment and human health. Within each category (manure, sludge, OFMSW, digestates) materials have similar composition but are heterogeneous, as they come from different facilities and have different presentations (liquid, dehydrated, composted, dried). For this reason, they must undergo a prior individualized characterization process, to correctly evaluate their agronomic potential and ability. 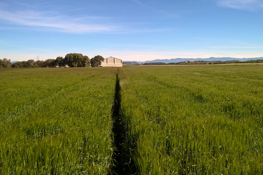 Agricultural receiving soils are also heterogeneous, with diverse cultures and cultivations associated. It will be necessary to characterize them to determine their suitability and know their limitations, depending on their composition and location (vulnerable areas, distances to inhabited areas and water bodies, slopes, etc.). Muns’ field technicians will take samples that will be delivered to accredited laboratories to determine all the required parameters. Muns engineers will still get more valuable information from the farmers with whom it maintains a permanent and frank contact. 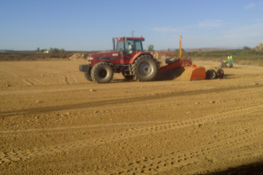 The information about the area to be fertilized, variety of crops, expected yields and the agricultural calendars will provide all necessary details to design the personalized fertilization plan, that will determine, according to all parameters analyzed, the dose of material to be applied, the means that shall be putted at the project disposition, and the timing. All data will be incorporated to our “Plani-gest” information and traceability system. In addition to advice before and during the process, farmers receive a final agronomic report from Muns. The entire sequence works under our quality management system which, prior to any action, is responsible to filter all relationships with our partners, ensuring Muns’ standards and the legal reserve of every agent involved. During the process, we will also look after employees’ safety and proper execution of tasks. Forest fires, closed landfills, concluded mining activities, communication roads and public work are areas that demand the use of optimal organic materials to regenerate or implant fertile soil layers, to restore the original state of used areas or integrate new performances with the environment. The use of fertilizing recycled material for this purpose becomes a very interesting opportunity to valorize organic wastes. Muns will adapt its methodology depending on the regulations that each country has determined over this activity. Certain wastes and by-products, thanks to their nature and composition, can be valorized to take profit of their energetic power. In this case, their management is determined by the heating power of the biomass that they contain, which will be used in boilers to replace fossil fuels. The waste from these facilities are combustion ashes which, at their turn, should be appropriately managed. Only if the input materials are from vegetable origin or not dangerous, their ashes, after study, can be reused again in biological treatment processes. 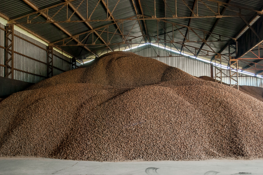 Muns studies all the residues and by-products that a producer generates, and provides the best solutions for each one, according to legality, sustainability and market criteria. Every management way previously exposed generates end products that are also susceptible to be agronomically valorized. Provide that these are products that have almost completely lost their moisture due to the treatments they have been undertaken, are easier to handle and can be incorporated into industrial processes for fertilizers production. 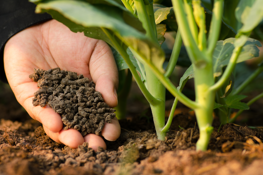 Muns commercialize these products as they are produced when their format allows it, and designs fertilizers and amendments with different mixtures of materials. We offer to farmers combined solutions of recycled fertilizer materials that cover all the needs of crops (organo-mineral, organic pellets, compost and dried sludge) Expert advice from Muns’ engineers allows the development of plans of reasoned and global fertilization for agricultural fields, depending on every crop’s needs. In this way, we close a virtuous cycle that we started by managing a material considered waste, transforming it into a valuable resource, and returning to the soil what we had removed.